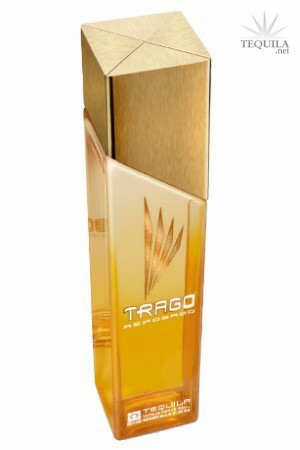 Trago Reposado is rested for four months in new American Oak barrels for smoothness. Full of true agave flavor, but sweetened with the subtle tones of vanilla and caramel. The palette is smooth and well-rounded with a long lasting finish. Ideal for making top-shelf margaritas, on the rocks, or savored neat in a snifter. Trago Tequila is produced at the Los Alambiques Distillery, located in the higher altitude of the Arandas region in Central Mexico. Los Alambiques is owned and operated by Felipe Camarena, son of the famous Don Felipe, who is known and revered throughout the world as "the Father of Tequila." The Camarena family has been the only family in the history of the tequila business to win “Best Tequila” in the past 3 years consecutively. Their distilleries have won numerous accolades, including several Distiller of the Year awards. Los Alambiques is currently producing 100% Webber Blue Agave ultra-premium tequila of the highest quality. The distillery and surrounding growing area boasts the best soil and climatic conditions in the "Altos de Jalisco" region of Mexico. Trago reposado is bright golden brown, light bodied, with a strong and full nose of olive and grass. A light agave initial taste with notes of wood and citrus, which turns spicy and heats the mouth leaving remnants of butter and olives. A medium finish and grassy aftertaste. After really liking the blanco and anejo, I had to give the reposado a try. Sadly, it's probably the weakest of the line. Aroma: Light agave scent, fruit and light smoke. Initial Taste: Light fruity sweetness. Body: Thin mouth feel. Agave, spice, wood and a bit of citrus make for a decent overall flavor. Finish: Probably the best part. A nice strong mix of flavors and a nice, long and complex linger. Really nice finish. I like this line. The price often varies a lot. I bought this for $30 and for that price, it's a good value. For $45, it not nearly as good a buy. It's a nice overall repo in a modern looking bottle. So this is part two of the tasting the other night. I have to say i didn't leave anything in the glass to come back to after the initial taste. Don't know if that meant that the pour was short or I really enjoyed this. I think it was a bit of both. The first thing I noticed about this reposado is that the coloring was a bit more golden straw like not as caramelly. On the nose there was a fair bit of lemon as well as agave. This carried through to the palate where again there was a fair bit of citrus, with some caramel and vanilla. The body was fairly soft without a tonne of depth but smooth and the finish medium in length. The price seems to be fairly high for the product. Though the product here is quite good the price was quite high. Presentation is unique but doesn't really do it for me. Pale in color. Pleasant initial nose. 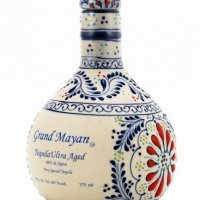 Mild agave note that is initially sweet and finishes clean with a mellow wood flavor. In 1 - 2 ounces it is surprisingly smooth. When attempting to drink it in larger quantities it takes on a warm bite. The Pepper and smoke come out and can be a little harsh after three good tugs on the bottle. All-in-all, it is a descent tequila for its price. I like it better than 1800 reposado and less than Patron. I found it a good value at $24.95. The bottle is unique but it kind of reminds me of a large bottle of cologne. Very pale straw-gold colour - generously full-bodied and viscous. Nose is mild with agave and fruit, maybe melon. Sweet entry gives way to a wallop of agave and peppermint. Other than a mineral note creeping in, there is little flavour development in the body. Finish is lengthy, with pepper, mint, minerals and a sniff of smoke. It leaves a very long peppery tingle on the tongue which this reviewer finds a bit excessive. Overall it is a decent reposado, but far from a great one. Tasted in a shot glass sticking to the sides with thin legs forming after a good amount of time. Trago Reposado Color: tiny faint brown tint Aroma: agave and a bit of wood Taste: light on the tongue with the taste of pure agave, clay and wood with a harsh bite This is the first Tequila I have choked on. Not the kinda of choke from about ready to puke, but like when you take your first smoke. This is a very rough reposado that make me not want to try their blanco or anejo even with the slick bottle.